Philips ECG 3-Lead Cable for use with the SureSigns VM Patient Monitors. Use with VM4, VM6, VM8 monitors. Length 2.7 meters. AAMI color-coded. 12-pin connector. 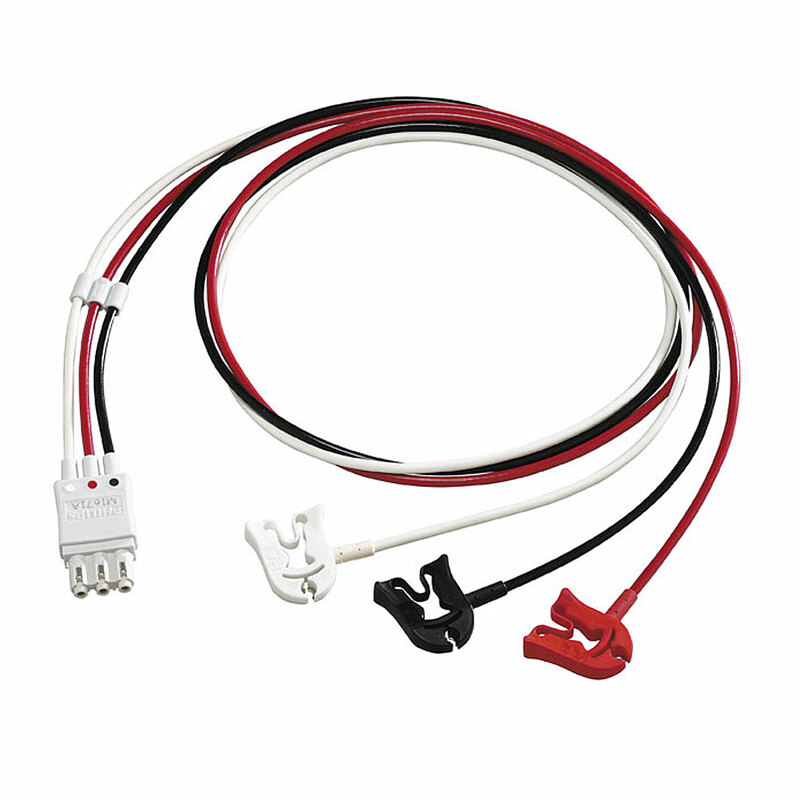 Choose ICU or OR use, snap or grabber cables.